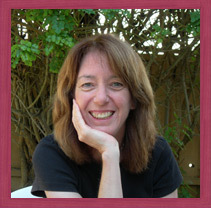 Sara Lewis has been publishing fiction and non-fiction for over 20 years. Her short fiction has appeared in The New Yorker, Redbook, Seventeen, Good Housekeeping, Mademoiselle and the Mississippi Review. Her essays and nonfiction have appeared in Ladies' Home Journal, McCall's, FamilyFun, Child and on National Public Radio. 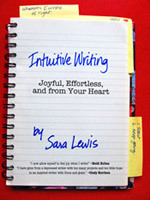 Sara's new eBook, Intuitive Writing: Joyful, Effortless, and from Your Heart, is available now. Learn more about the book. Let Sara help you create the life you want using the power of your own mind! Sara is also a Certified Clinical & Medical Hypnotherapist who offers individual hypnotherapy sessions by phone and in person in the San Diego area. For more information, visit SaraMurre.com. Sara Lewis' books can be purchased at your local independent bookstore, amazon.com and barnesandnoble.com. Web site design by interbridge. Text © 1992-2009 by Sara Lewis.